Last month Google announced Google Pay, a simplified payment system that merges Android Pay and Google Wallet. In fact, it even started rolling out with Play Services beta update. However now, the app is finally available for everyone to download from the Google Play Store, as per a confirmation from a Google blog post. Google Pay is the company’s attempt at unifying digital payments service across the web, in apps, in stores, and through peer-to-peer (P2P). 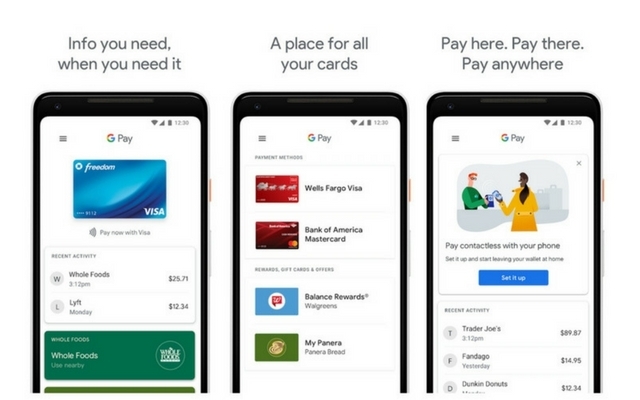 The idea behind Google Pay is to become a one-stop-shop for all your payment needs. Once everything is in place, your Android Pay account, Chrome payment details and any other cards you have added to your Google account will be unified in one app. The Cards tab in the app will store all your payment details including credit and debit cards, loyalty programs, offers, and even gift cards. Google says that it will add more features to the app down the line and make it compatible across all Google products in the near future. This rollout as the first step in simplifying its payment system. “If you live in the U.S. or the UK, you’ll be able to use it to send and request money within the next few months. In the meantime, the Wallet app is now called Google Pay Send, and we’re giving it a fresh coat of paint to go with the Google Pay brand,” Google’s post added. Also, the app is not supported in India just yet. We tried installing it from the Google Play Store, but it said all our devices were incompatible. As of now, there is no official word from Google as to when this service will go live in India and how it will change the way make payments. Meanwhile, you can continue to use Google Tez, which recently added bill payments to its repertoire.